New year, new you. This Chinese New Year, which starts February 16, the Levi’s® brand is encouraging consumers to turn their resolutions into reality. Like the western new year, Chinese New Year is a time where resolutions are often made, but can go unfulfilled. So we are celebrating ‘urban doers’ who have acted and followed through on their true passions. 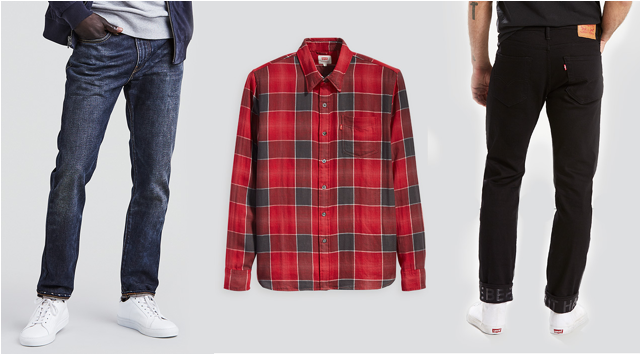 And what better to wear when pursuing those resolutions than something from the Levi’s® Chinese New Year Collection. This year’s collection features a mixture of traditional elements — including pops of red— and trendy street styles. And because it’s the Year of the Dog, we have a special paw logo. The men’s collection features the 512™ Slim Taper Fit and 502™ Regular Taper Fit, which show a printed message when rolled up at the hem. Jeans, truckers, sweatshirts and a reversible bomber take inspiration from street style, while embroidered details are a nod to both Chinese culture and the current trend. 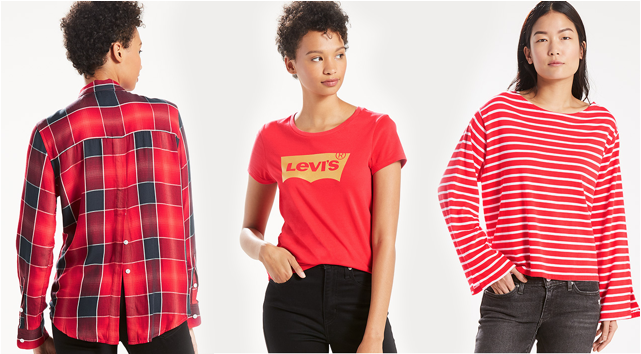 For ladies, this year’s collection continues to feature special 711 Skinny Fit and 721 High-Rise Skinny Fit jeans designed especially to give Asian women a chic silhouette. This year’s Levi’s® campaign highlights those “doers” in China who have taken bold steps to achieve their dreams. 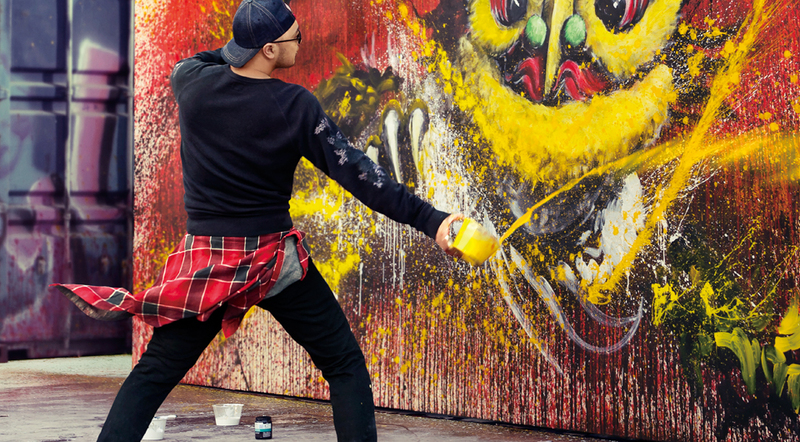 From a schoolteacher who became a tattoo artist, to an office worker who became a street artist, these trailblazers are ripping up the rule book to follow their personal passions with an entrepreneurial spirit. They are unleashing their authentic self-expression more than ever. Take William Chan. 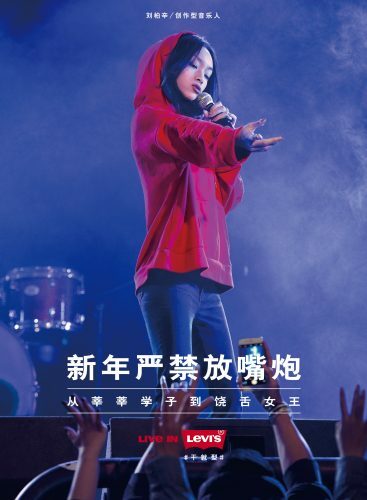 With a childhood dream of stardom, William worked relentlessly for years until finally making his big concert debut in a coliseum in Hong Kong. Now he’s an official brand ambassador for Levi’s® in Greater China. On track to attend a prestigious Chinese University, Lexie Liu left her life of stability behind to work toward a career in music. Now a rapper and producer with her own studio, Lexie strives to bring powerful music to the youth generation in China. 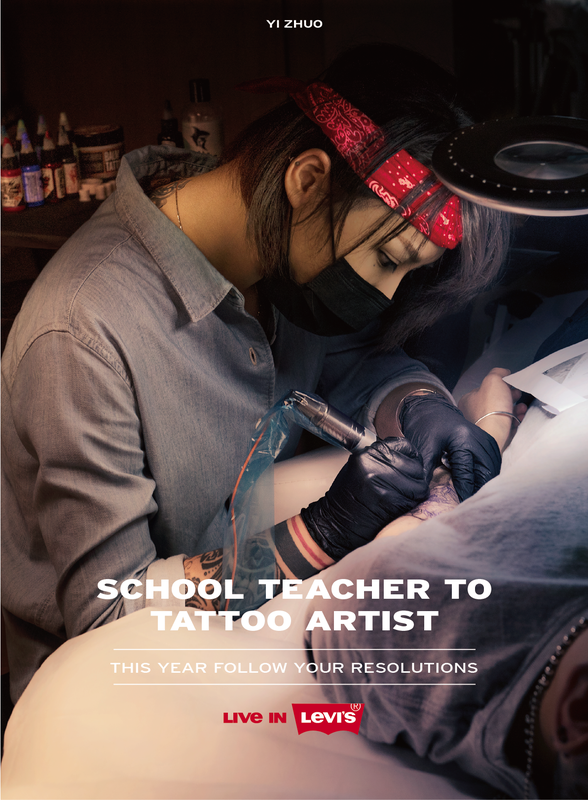 Zhou Yi was an art teacher at a primary school before she decided to pursue her true passion of becoming a tattoo artist. Zhou is now a renowned tattoo artist with her own studio in Shanghai. A former administrative employee, Qi Xing-hua is now one of China’s most famous street artists, his creativity adorning walls and alleyways across the country. Both impressive and inspirational, these stories of dreamers-turned-doers reach far beyond China. 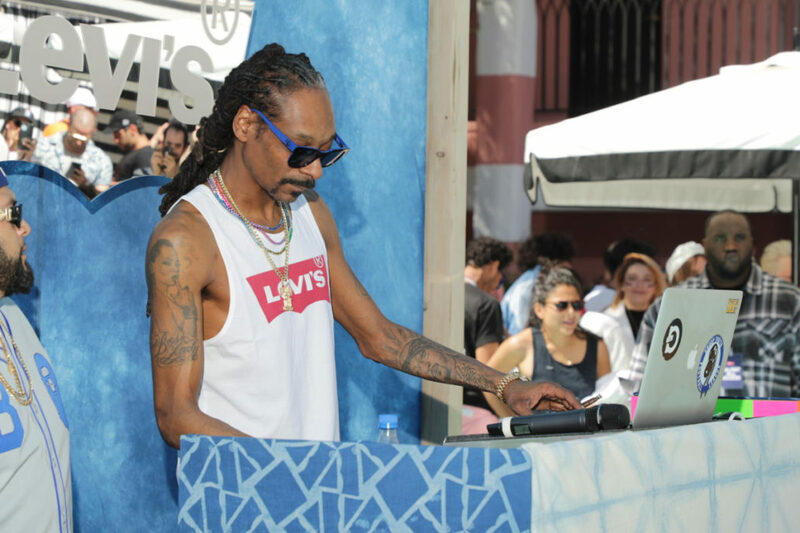 Around the world, the Levi’s® brand encourages consumers to unleash their authentic selves, ignite their individuality and pursue their passions. While the full collection is only available in China, U.S. customers can shop a portion of the collection online.